A litigation & dispute resolution specialist, my practice covers commercial and civil litigation. I support clients with disputes involving breach of contracts and duty, property, landlord and tenant, cohabitation and contentious probate. My clients include private individuals, trusts, charities and commercial organisations of all sizes, though I specialise in advising SMEs. My clients receive pragmatic, commercial and cost-effective legal advice designed to resolve their issues as quickly as possible. As an experienced litigator and negotiator, I also utilise alternative dispute resolution to bring the issues my clients are facing to a successful conclusion. Focussing on the outcomes my clients want, I use all avenues of the legal process to achieve the best possible solutions on their behalf. I combine an expert knowledge of the law with vast practical experience gained in both large international firms as well as smaller regional firms. Clients appreciate my commercial and personable approach. Outside of work I enjoy cycling, golf, rugby (more watching than playing these days) and adventure sports, in particular backcountry skiing when I can find the time to make it to the slopes. I’m also a qualified skydiver. 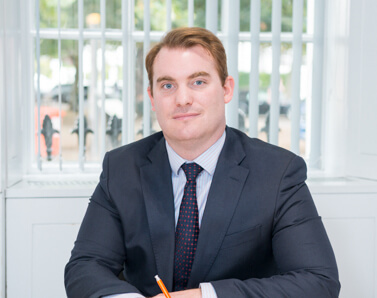 We have appreciated Tom’s knowledge and sound advice on a number of matters and Clients have always warmed to his approach. Never afraid to organise an effective response to our needs.